The Other House Race Both parties want to wield the pen when states draw new districts in 2021. Both parties want to wield the pen when states draw new districts in 2021. There are two battles under way for control of the U.S. House of Representatives. The first and better known is over which party will have the majority when the 116th Congress meets in January. This will be determined by the roughly 60 competitive districts at play in the 435 elections for the House this November. Democrats now enjoy the upper hand. The second fight—also crucial but less discussed—is over which party has the better chance of holding the House for the decade after states redraw congressional-district lines in 2021. This fight involves 6,066 contests for state legislative seats this fall and another 6,318 races next year and in 2020. Because most state senators serve four-year terms, many of those elected this November will cast votes on redistricting plans after the next census. Both parties want to hold the pen when the time comes to draw new congressional district lines. Republicans held that power in many states in 2011, having picked up 721 state legislative seats and 23 chambers in the two years following President Obama’s 2008 victory. They were rewarded handsomely for it in the subsequent redistricting. Today Republicans hold 67 of 99 chambers (Nebraska has a unicameral legislature) and hold unified legislative control in 32 states. 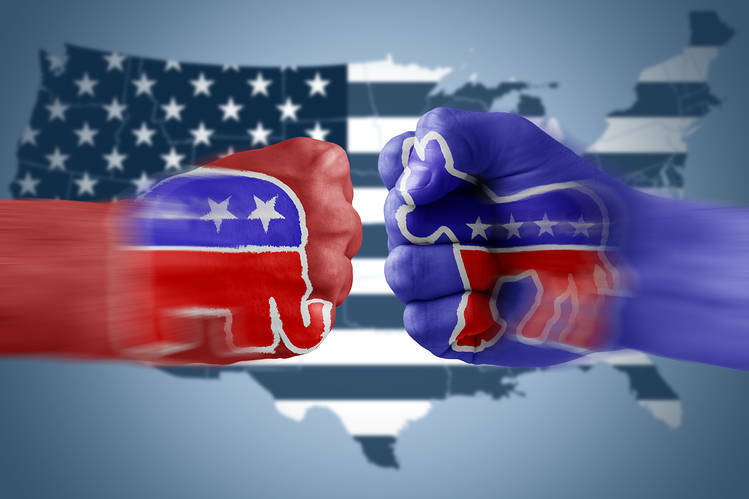 In four states—Alaska, Colorado, Maine and New York—control is split, with each party holding one chamber. Democrats have legislative majorities in both houses in only 14 states.